Celebrate Mickey's 90th anniversary at Melbourne Central this November, with the opening of a Mickey Mouse inspired art exhibition. The exhibition, hosted by Radio Velvet, will see 90 original artworks produced by 90 local and international creatives displayed together. Artists involved in the project include Jamie Browne, Confetti Studio, Vince Frost, Justine McAllister, Travis Price and George Rose. Curated by Eddie Zammit the exhibition will see the largest array of artists reimagining the world’s most-loved mouse. A range of inspired Mickey Mouse merchandise will be available for purchase at the exhibition. Keep your eyes peeled for more information on this must-see exhibition in the coming weeks. 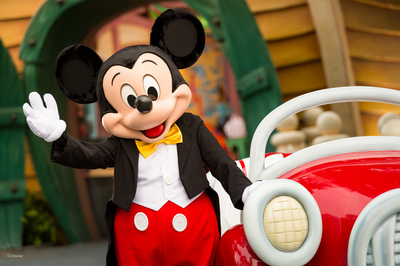 Mickey’s anniversary festivities continue throughout 2018 and beyond. To keep up to date with the latest Mickey’s 90th news visit disney.com.au/mickey-mouse.